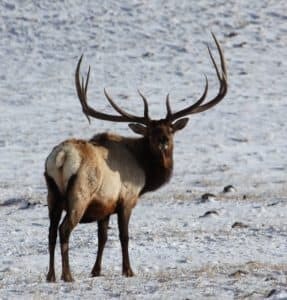 For the past four winters visitors to the National Elk Refuge in Jackson Hole have glimpsed a mammoth elk that’s drawn worldwide attention for its large antlers. In addition to being huge — six points on the right and seven on the left — the antlers are unusually broad. Wildlife managers have twice collected a pair of huge shed antlers from the refuge — once in the spring of 2013 and again in the spring of 2015. When the elk comes to the refuge for its winter range and supplemental feeding program, the big bull hangs out mostly on the remote McBride feedground. Beyond that, he’s elusive. The elk walks like royalty, he’s seldom seen and he lives in many dreams. Is he the monarch of the Tetons? The first pair of antlers turned up in the spring of 2013. Refuge workers collected them as part the annual spring antler roundup. An antler auction — scheduled for May 21 — supports the refuge and local Boy Scouts, who help in the annual collection. They were “the largest antler sheds anyone can remember found on the refuge,” according to a description that now accompanies the set that’s exhibited at the Jackson Hole and Yellowstone Visitor Center in Jackson. “Leading up to the 2013 auction, it was decided not to sell them but to share the antlers with everyone by entering them on the Rocky Mountain Elk Foundation 2014 Great Elk Tour,” the description says. The antlers were mounted on another elk’s head and went on tour as “Game Range Giant.” In the arcane world of antler scoring, the rack registered 436 7/8 gross non-typical B/C inches. 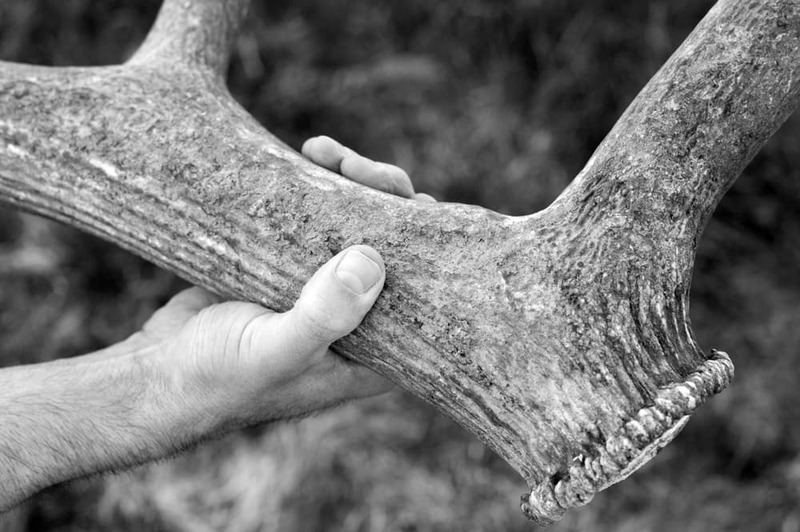 The scoring system requires that the antlers be measured along a prescribed set of lines. Generally the score reflects the length of the times and main branch added together. The 2013 set is non-typical because it features a drop tine — a point that descends instead of rising. “B/C” indicates it was measured under the Boone and Crockett ranking system. The set had six points on one side, seven on the other, plus a drop tine. According to Boone and Crockett Club, 478 5/8 is the highest score yet recorded for a non-typical elk. An Idaho hunter killed it in Utah in 2008. The highest score ever for an American elk is 499 3/8, the club says. Workers collected the second set of large, shed antlers in the spring of 2015. It also had six points on one side, seven on the other. But they lack the distinct drop tine of the 2013 set. That difference raised the question whether the two sets come from the same elk. Photographs taken of the elk that dropped the two pairs of antlers are similarly inconclusive. Elk typically grow similar sets of antlers year after year, most observers agree. But there’s no consensus about whether non-typical tines also grow on a regular basis. The refuge is holding on to the 2015 antlers as it decides what to do with them. Biologist Cole weighed them at approximately 14.5 pounds a side — about 29 pounds total — on an uncertified hanging scale. Among beasts that tote as much as a 40-pound antler load, “the weight was a bit less than I expected,” he said. In 2014 refuge workers calculated proportional measurements using photos and estimated the minimum inside width of the rack — one that was never recovered — at 52 inches, Kallin said. Elk antlers likely grow to their largest on animals that are 11 to 12 years old, Cole said, citing research on red deer, a similar ungulate. Two winters ago Jody Tibbitts, a wildlife and photography guide with Jackson Hole Wildlife Safaris, was talking to friend Lynn Bagley who drives horse-drawn sleighs and wagons among the wintering elk for Bar T 5 outfitters. 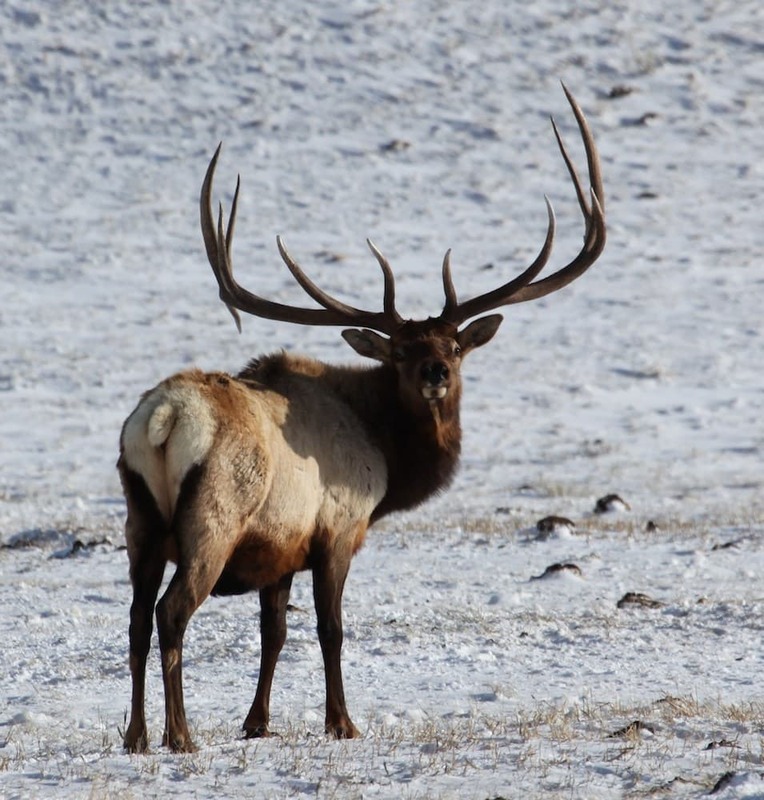 Come out on a tour, Bagley said, you missed this huge 410-plus elk and now he’s gone north. Bagley was right, but Tibbitts kept returning and this winter brought two families from Australia to the Refuge tours. He saw Bagley’s eyes light up and figured he might be in luck. The big elk was back. That’s when the herd bull shot ‘round the world. “I got about 2,000 friend requests on Facebook,” he said. “I got people from the Middle East, Mongolia, China, Brazil, Mexico, all the Asian countries. That first two days I could not do anything but deal with Facebook. Then came the comments — thousands of them. Can I get my picture with you, the man asked. “We did the pose,” Tibbitts said. “Within 30 seconds he had it on Facebook. Russell’s diary of daily life in the Northern Rockies before railroads, mining, settlers, and ” civilization” is incisive in a great many ways. Required reading for western history scholars. Among other consequences, the wholesale slaughter of Elk and subsequent non-biological management practices had to have dramatically diminished the genetic potentiality of Elk. 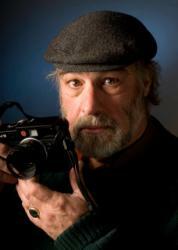 So when I hear stories or see smug trophy photos of a ” massive 7 point Elk ” , I lament that the literate Osborne Russell did not also have a Nikon camera with him.